In the last twenty years considerable progress has been made in process risk and reliability management, particularly in regard to regulatory compliance. Many companies are now looking to go beyond mere compliance; they are expanding their process safety management (PSM) programs to improve performance not just in safety, but also in environmental compliance, quality control and overall profitability. Techniques and principles are illustrated with numerous examples from chemical plants, refineries, transportation, pipelines and offshore oil and gas. This book helps executives, managers and technical professionals achieve not only their current PSM goals, but also to make the transition to a broader operational integrity strategy. The book focuses on the energy and process industries- from refineries, to pipelines, chemical plants, transportation, energy and offshore facilities. The techniques described in the book can also be applied to a wide range of non-process industries. The book is both thorough and practical. It discusses theoretical principles in a wide variety of areas such as management of change, risk analysis and incident investigation, and then goes on to show how these principles work in practice, either in the design office or in an operating facility. 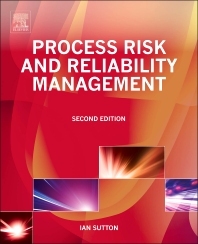 The second edition has been expanded, revised and updated and many new sections have been added including: The impact of resource limitations, a review of some recent major incidents, the value of story-telling as a means of conveying process safety values and principles, and the impact of the proposed changes to the OSHA PSM standard. Learn how to develop a thorough and complete process safety management program. Go beyond traditional hazards analysis and risk management programs to explore a company's entire range of procedures, processes and management issues. Understand how to develop a culture of process safety and operational excellence that goes beyond simple rule compliance. Develop process safety programs for both onshore facilities (EPA, OSHA) and offshore platforms and rigs (BSEE) and to meet Safety Case requirements. Managers and technical staff in the oil and gas industry: refineries, pipelines, transportation, offshore facilities. Managers and engineers in the process industries. Ian Sutton is a chemical engineer with over thirty years of experience in the process industries. He has worked on the design and operation of chemical plants, offshore platforms, refineries, pipelines and mineral processing facilities. He has extensive experience in the development and implementation of process safety management and operational excellence programs. He has published multiple books including Process Risk and Reliability Management, 2nd Edition and Offshore Safety Management, 2nd Edition, both published by Elsevier. The content is excellent but many of the references to other sections of the book are wrong - perhaps due to changes from the first edition. I find much of the wording is awkward but this does not interfere with the content.